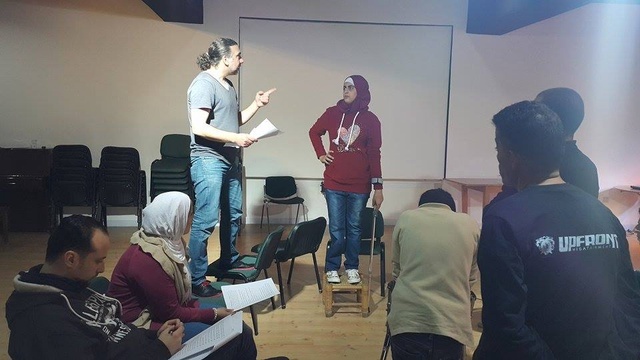 Nawar Bulbul is preparing his third theatrical project working with Syrian refugees in Jordan. In "LOVE BOAT", a witty wind will take you to the heart of the dreadful crossings of the Mediterranean, the last hope of freedom for tens of thousands of Syrians. This tragic comedy draws the life course of a Syrian theatre troupe aboard on a modular "boat-scene" adaptable to its different destinations. 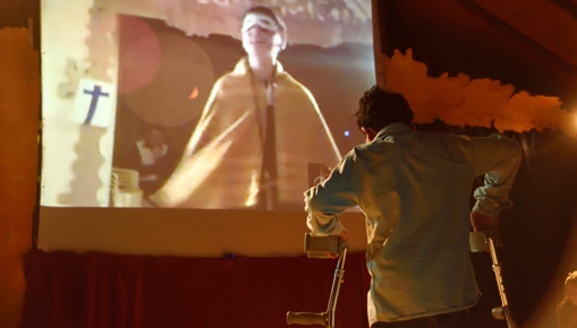 In 2015, the members of the Syrian theatre company, that has been disjointed/dismembered just as Syrian society for the past five years, has decided to reunite somewhere along the Mediterranean coast. An actress, 4 actors and 1 children gather around a boat that will take them to the gates of Europe, where they imagine themselves being able to resume their theatrical activities and thus recover a dignified life. This play tells the story of their reunion and their experiences through representative sequences from classical European literature. 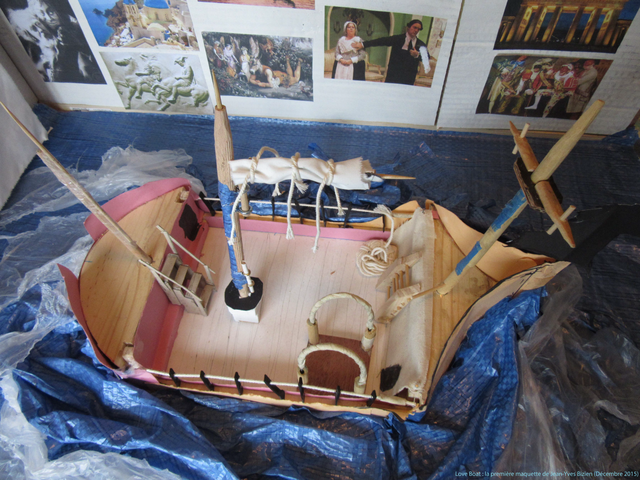 Aboard an amazing boat, actors have brought with them their costumes, their accessories and they are ready to play the shows they performed in the past. Consequently, they will lead the audience through a dizzying voyage alternating between their own life stories and pieces of European literature, extracted sequentially from: Aristophanes "the Knights", Carlo Goldoni "The Servant of Two Masters", Cervantes “Don Quixote”, Molière "Tartuffe", Shakespeare "a Midsummer nights Dream," and finally Goethe’s "Faust". Hence, towards a tragic-comedy background, the actors will be recurving spectators, actors and witnesses. 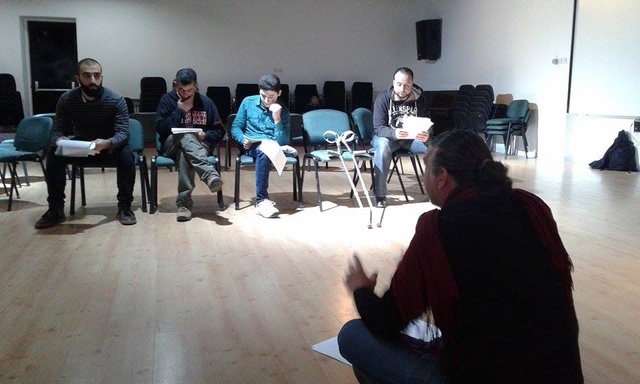 - To promote the integration of refugees, war-wounded and former prisoners into society through "drama therapy". - To highlight the main causes and reasons for the current influx of refugees to Europe. - To open the debate on how to stop people from engaging in perilous crossings in unsafe conditions. - Give the refugee actors a financial compensation for their work and personal investment in the project. - Give a financial compensation to the team of three young volunteers who will assist the actors, some of whom have severe disabilities, all through the project. -Remunerate the brilliant Jordanian-Syrian violinist, who will join the group in the live performaces. - Provide snacks during the rehearsals. - Purchase the materials required for manufacturing the unique boat-scene. - Aquire the fabrics, clothing and other costume accessories for the performance. - Print posters, flyers and brochures. We thank all the generous Ulule donors for their participation in advance. Nawar Bulbul is a Franco-Syrian director, graduated from the Institute of Dramatic Art/Theatre in Damascus (Syria). 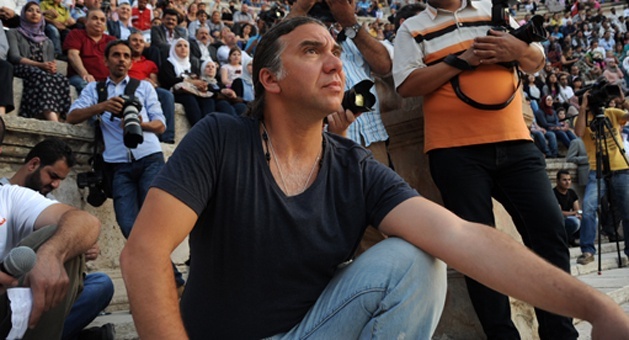 As an artist engaged in society and people he has dedicated his last two theatre plays to Syrian refugees and /or in exile ("Shakespeare in Zaatari" and "Romeo and Juliet between Homs and Amman). Both projects have already shown the importance of transmitting tools such as theatre and artistry to victims of psychological and physical traumas due to armed conflict. With this new project, he wishes to continue offering these human experiences to those who need it the most; the opportunity to express themselves vocally and gestural and challenge their disabilities in daily life. Just as the setting-ups of 2014 and 2015, this project was designed to show the physical and moral violence of war to a greater public. In this way, in his capacity as a director, Nawar’s fight against tyranny goes through art. About "Romeo and Juliet between Homs and Amman"
Inclusion in the general acknowledgments for the contributors to Ulule on the poster. Inclusion in the general acknowledgement in the documentary film of rehearsals and performances that will be put together posteriorly. Photos of performances via email. Photos of rehearsals and performances via email. Links of the first video of rehearsals and performances. Scanned photos of rehearsals and performances signed by Nawar Bulbul via email. Postalcard autographed by the complete team sended by post. A reserved place in the theatre hall. Photos from the rehearsals and the performance signed by Nawar Bulbul via post. The opportunity to attend the general rehearsal. 2 reserved places in the theatre hall.